With an Introduction by Derek Matravers. Rights of Man is a classic statement of the belief in humanity's potential to change the world for the better. Published as a reply to Burke's Reflections on the Revolution in France, it differs from that great work in every relevant respect. Where Burke uses the language of the governing classes, Paine writes with the vigour of a self-taught mast-maker and exciseman. With passionate and rapier wit, Paine challenges Burke's assertion that society cannot be judged by rational standards and found wanting. 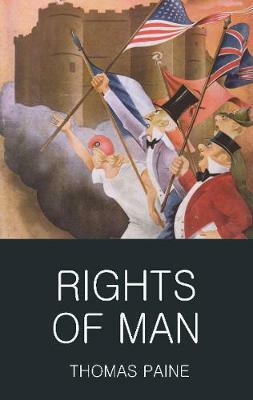 Rights of Man contains a fully-costed budget, advocating measures such as free education, old age pensions, welfare benefits and child allowance over 100 years before these things were introduced in Britain. It remains a compelling manifesto for social change.